Can we use 'we', 'us' and 'our' in IELTS essays? is it okay to use we, us and our in writing task 2? It's not that common, and you shouldn't overdo it, but yes, you can use them. In some cases it works well. We tend to use them if you are referring to what the 'general' population do, and including yourself. Can the pronouns "I", "You", "Us" be used in an IELTS essay? 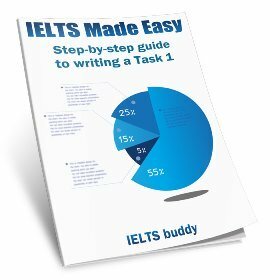 I am confused about if it is ok to use "I", "You", "Us" in the body of an IELTS essay. This is the case for Academic essay written Academic style, but what about IELTS Academic? or General? 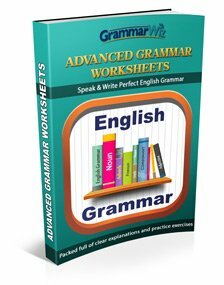 Comments for Can the pronouns "I", "You", "Us" be used in an IELTS essay? 1) It's certainly ok to use "I" when giving your opinion, usually in the introduction or conclusion (but sometimes in other parts of the essay such as a topic sentence starting off a paragraph). For example when you see thesis statements "I believe that.....", "I agree...." etc. "Give reasons for your answer and include any relevant examples from your own experience or knowledge." So if you are putting in an example from your own experience it follows that you may use 'I' or maybe 'we' (though I think this is less likely). An IELTS essay is slightly different from a normal essay because you have no books or other evidence to refer to, so it would be a bit harsh to penalize someone if they need to use a pronoun to refer to their own experiences in order to support some points. So I would say avoid over-doing it as it might affect the academic style, but in places it is ok if you need to provide a few examples from personal experience. I can't see a situation though where you would need to use 'you' so I would avoid that. Can we use the first person to express opinions? While writing an essay is it okay to use first person point of view to express opinions? E.g. "I strongly believe more money should be spent on medicines than space research." Comments for Can we use the first person to express opinions? Yes it is ok to do that. Check out this lesson here on using personal pronouns in essays. band 7,5: maximum number of errors permitted?? 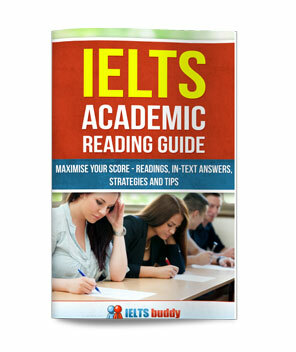 Dear Ieltsbuddy, I have my IELTS test on the 6th of June, the required band is 7.5: I still make from 5/6 to 10 mistakes in listening and reading, some performance are better than others but I am still a bit struggling. Which is the maximum number of mistakes allowed to reach 7.5? thanks a lot for yor advises. It tells you the rough score you can expect to get depending on your points. Regarding the argumentative essay, I'm surprised to see that the example provided by The British Council is filled with writing that would not pass a grade 10 provincial exam in Canada. Using words as "I think", "in my opinion" or "in conclusion" are regarded as bad writing according to how writing is taught in Canadian schools. I was wondering what the cause of this discrepancy might be? I don't know anything about the grade 10 provincial exam in Canada, but as most people know, it is common to be told in academic writing not to use the first person as in 'I'. However, IELTS essays do have some of their own characteristics. Remember it is a short 250 word (or thereabouts) essay, not a university or college essay / assignment. With any essay that is graded you have to look at the marking system. If you look at the IELTS public band descriptors (available online or through an IELTS centre) you can see what you are graded on. There is nothing that says you cannot say "I think", "in my opinion" or "in conclusion". You are often asked in the question to give 'your opinion'. You are also told in the rubric you can give examples from your 'own experience'. So on this basis it would be difficult to penalise someone for using 'I' now and again. If you did keep using it throughout the essay it would likely affect the style and this could impact on the score. But used sparingly, for example to give an opinion, is fine. There is absolutely nothing wrong with "in my opinion" or "in conclusion". These are standard words used in academic writing. They are quite common so you may want to come up with something more interesting to impress the examiner with your vocabulary, but they are not 'wrong'. During the old days people needed only 5.5 for migration. So samples using extremely simple English were common . These samples are old , and people aiming for high bands should definitely use complex words and structures and avoid writing a high school essay. 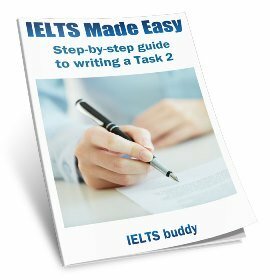 Samples for band 7 and above won t be published since IELTS needs to keep its reputation of being a tough exam , especially for those needing writing 7 and above.